In a recent blog we told you about the various ways that a small business can get free or low-cost help from the public library, but there are other sources of help that often go undiscovered. For example, local, Provincial/State and even Federal governments have various programs and resources that are often unknown or under-utilized by the small business owners that may need them. In a world of political grandstanding, a lot of myths get spun that are not necessarily true about government and small business. One of the most common is that small business and big government do not mix. This is not true. 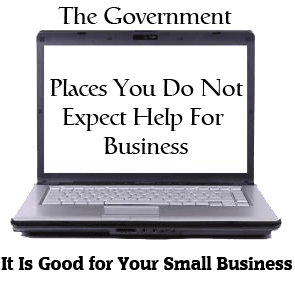 What is true is that the government can be as much of a friend to your small business as a foe. If you are in need of solid business advice at a crucial moment, the government might be able to help. Governments know how important the sustainability of small business is to the economy. Yes, there are government-run programs that provide generous loans for small businesses. They usually come with caveats and obligations, but some of these programs do share and often reduce the financial burden of business venture funding, giving you the breathing room necessary to take more risks yourself. Overlooking these types of programs could be a mistake. It is true that going to the government for business advice might seem a bit counterintuitive to some business owners, but there is actually a great deal you can gain from doing so. Business consultants and other for-profit or even not-for-profit third-party organizations can cost you a great deal of money. On the other hand, the staff members at many government organizations can be mined for crucial information about tax policy, grants, business restrictions and much more – for free! As a small business owner, it is not just your job to make your business successful, but also to find the resources that will help your business at the lowest possible cost. Also, lowest does not always mean cheapest. It means doing an accurate and realistic cost/benefit analysis on the help and support you are accessing for your small business. 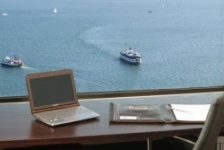 One of our virtual office clients who represents an American company did his homework and discovered that the U.S. federal government, as well as the company’s state government, can help to boost international exports of a product that was made in the USA. It was not an easy task, but perseverance and hard work got him the assistance he needed and fast-tracked his client’s move into Canada. It is important to re-iterate that big government does indeed see the contribution that small business plays in the economy – they are definitely not waging war on small business.